That is the open secret, now doing the rounds in the corridors of State House in Freetown. And as the world awaits the publication of the latest Sierra Leone Ebola statistics update, there are rumours that the new head of the country’s National Ebola Response Centre – former head of the army – Major Palo Conteh, has not only toppled the country’s minister of health in the war against Ebola, but has taken full control of Ebola information management, as well as the manipulation and dissemination of data. 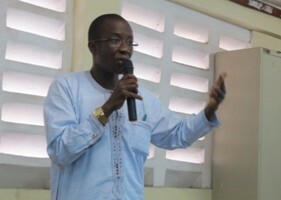 In a statement delivered at the handing over ceremony of new ambulances brought into the country by the World Bank, the ‘now all powerful’ Major Palo Conteh announced that the country’s minister of health is no longer responsible for managing the Ebola crisis. The demoted minister of health – Dr. Abu Bakarr Fofanah (Photo) was himself personally appointed two months ago – by the president, after the sacking of the previous minister Miatta Kargbo. Critics of the Koroma government say that, the continuous state of Ebola paralysis that has engulfed the presidency, is having a serious and irreparable effect on the nation’s ability to effectively counter the virus. The last publication of the daily Ebola update was seen three days ago, as Sierra Leone for the first time in its history, recorded a cumulative total of 3,000 cases of Ebola infected victims. Questions are now being asked as to whether the government has embargoed further publication of Ebola daily updates. There are fears too, of a major crackdown on news and freedom of information on the horizon, as Major Conteh consolidates his power. But many in Sierra Leone believe that the appointment of military strongman Palo Conteh to head the National Ebola Response Centre – effectively sidelining the health minister, is a deliberate attempt by president Koroma (Photo) to strengthen the role of the army in clamping down on the growing spate of social disturbances in the country, stemming from the worsening crisis. And as tension rises in the country, with food prices skyrocketing and the unacceptably high number of dead bodies languishing on roadsides, disaffected youths in various deprived communities have increasingly taken to the streets – setting up roadblocks in protest. 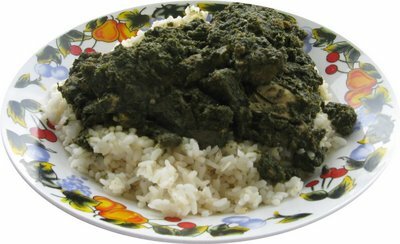 There was panic on social media also last Friday, when warning messages sent across the country of the dangers of eating the nation’s favourite vegetables – ‘plasass’ – as they are called locally, went viral. There were unconfirmed reports also of ambulance drivers moonlighting. Instead of using the vehicles for transporting the sick, they are charging market women for carrying bundles of plasass in sometimes contaminated ambulances. Also, there are reports of social disturbance in the Northern district of Port Loko, where youths in the Lokomasama chiefdom threw stones at an Ebola ambulance. The cause of the disturbance is not known. But situation in the Kono district last week was even more disturbing, as youths preventing the removal of a sick Ebola patient to hospital, battled with local police and politicians. 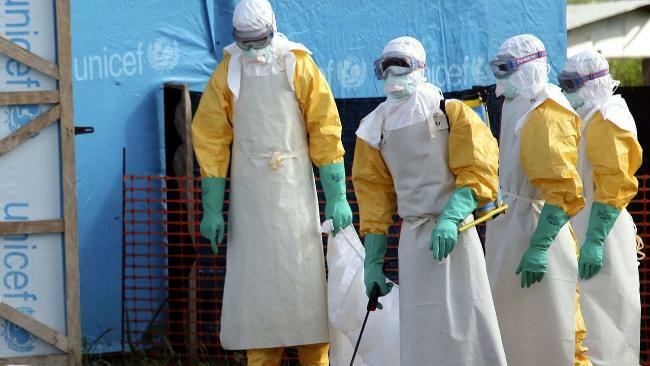 In an attempt to deal with the rising number of Ebola transmission in the capital Freetown, the new Ebola Czar has decided to prioritise the reporting, handling, collection and burial of the Ebola dead. 1. CDC have reported that 70-80% of all new Ebola cases nationally are caused by people having contact with the bodies of those who have died from Ebola, and is increasing. 2. In order to reduce new infections, we have to reduce the number of people who have contact with the bodies of the deceased. a. All deaths have to be treated as suspected Ebola deaths (even if the family know the death was caused by old-age or another illness). b. All bodies of the deceased must be removed from the community by the burial teams, ASAP, and always within 24 hours. c. It is not possible to do a swab test on all bodies to learn whether the cause of death was Ebola or not before a body is removed from the home. It takes between 1-3 days to get the test results back from the labs, and 1-3 days is too long to leave the body in the house. i. If the death was caused by Ebola, the body is highly contagious and leaving it in the house will increase the risk of other members of the family getting Ebola. The statement further says that: “These are extraordinary times, which call for extraordinary measures, and some difficult decisions have been made by the Freetown government leadership and the Mayor. “The measures outlined above will be difficult for people, but we can all help to try and explain the reasons behind them and encourage communities to accept the above measures in order to keep themselves safe. 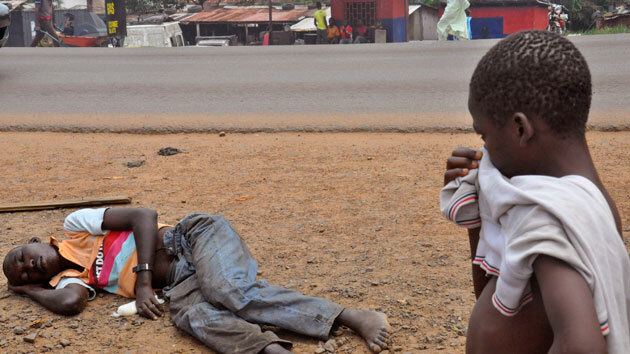 “Over the past weeks, Sierra Leone’s Ebola emergency response is getting better footing. A significant achievement occurred on October 23, when 100% of all corpses were removed within 24 hours of the report. In addition, 44 of the 46 bodies were buried the same day. “This is a huge milestone toward the goal of achieving 70% safe burials nationwide. Congratulations to the RSLAF, the Red Cross, and Ministry. Cases in Kenema and Kailahun have decreased from a high of 50 per week to four per week. “This is another significant achievement showing that rigorous infection control, availability of treatment beds, trained staff, and safe burials form a winning combination. Spikes in cases can be traced to unsafe or ‘underground’ burials. “Today, the Ambassador and I visited the new National Ebola Response Center (NERC) operations center at the former Special Court and the Western area incident management center, set up at the British Council auditorium. The NERC will hold its first meeting in its new place on Monday. “This nerve center will collect information from the districts and use it for directing resources back to them. “All key players will be co-located: government, RSLAF, UNMEER and UN agencies, Centers for Disease Control, UK, and implementing partners. This will provide daily accountability for response activities and streamline problem-solving and trouble shooting. 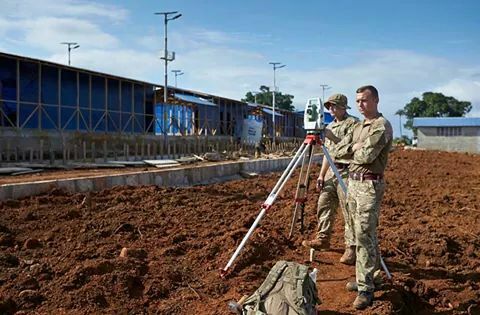 “The Western area incident management center is a hub of activity with sections including burial management overseen by the RSLAF, suspect case pickups, case management, and surveillance activities. “Kerry Town Treatment facility is set to open this upcoming week. Lunsar Treatment Center’s opening may be November 15. The UK, WHO, and US through CDC, are piloting ten Community Care Centers in the coming weeks to put small care units in the chiefdoms. “The Ministry of Health and Sanitation is putting hundreds of health care workers through training to staff them at the joint Ministry of Health and Sanitation, WHO, UK-supported center. “Infection rates among health care workers have decreased. Despite these bright spots, nationwide we are still far from our objective of 70% safe burials and 70% isolation nationwide. Vigilance is required as Freetown, Waterloo, Port Loko, and Bombali District remain key infection areas. But the prognosis for Sierra Leone is less than encouraging, if support for the country’s fight against the epidemic is not upscaled. 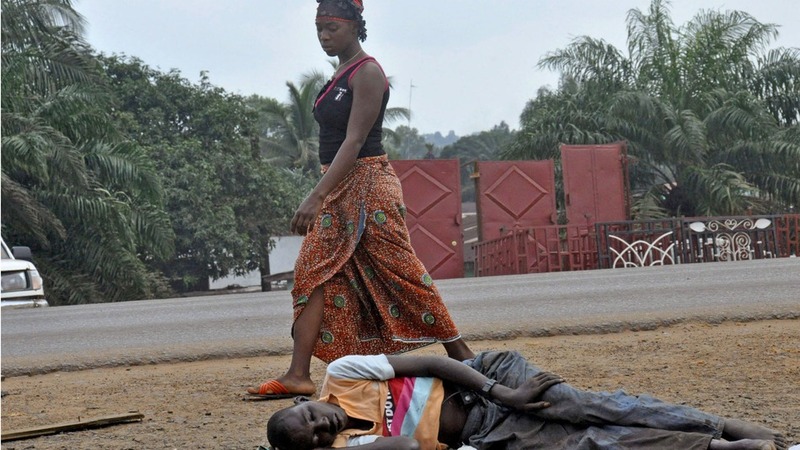 The Sierra Leone Telegraph believes that, based on current efforts and plans for containing the virus in the country, the total cumulative number of cases will rise to about 10,000 in the next three months. Sierra Leone’s economy is one of the worst casualties in the Ebola war, and is set to lose more than 60% of its projected growth by the end of this year, from 12% to 5%. Mining, the backbone of the country’s monolithic economy is in deep trouble. Companies have seen share values and production plunge to unprecedented levels. With rising prices in the markets and shops, and declining standards of living, there are growing fears of hunger and malnutrition precipitating early deaths among vulnerable sections of the population. 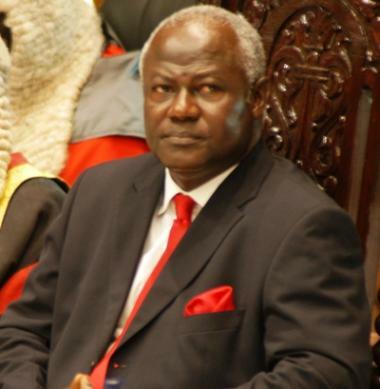 Is president Koroma planning an early exit? Forget about the Minister of Health, president, Defense minster, WHO, England, and all those involved. The main question is mind boggling. After 6 months of this deadly disease ravaging the country and moving with such stealth and merciless possession. WHY ARE THE PEOPLE STILL HAVING SECRET BURIALS. WHY IS THE RESISTANCE TO PROPER PRACTICE STILL SO PERSISTENT. This thing will not stop if the people do not stop being so stubborn. Are we really that HARD HEADED. When I hear that people rather die at home than go to the hospital. They have to force them to the hospital at gun point. HOW CAN YOU BEAT A DISEASE WITH THAT KIND OF MENTALITY? HOW. HOW. So what exactly is the role of the Minister of Health now? Is he involved in the Ebola crisis at all? Ebola is the most devastating health catastrophe that has ever befallen our country and for the health minister not to be involved does not make sense. What value has the change in leadership added to the fight against Ebola?